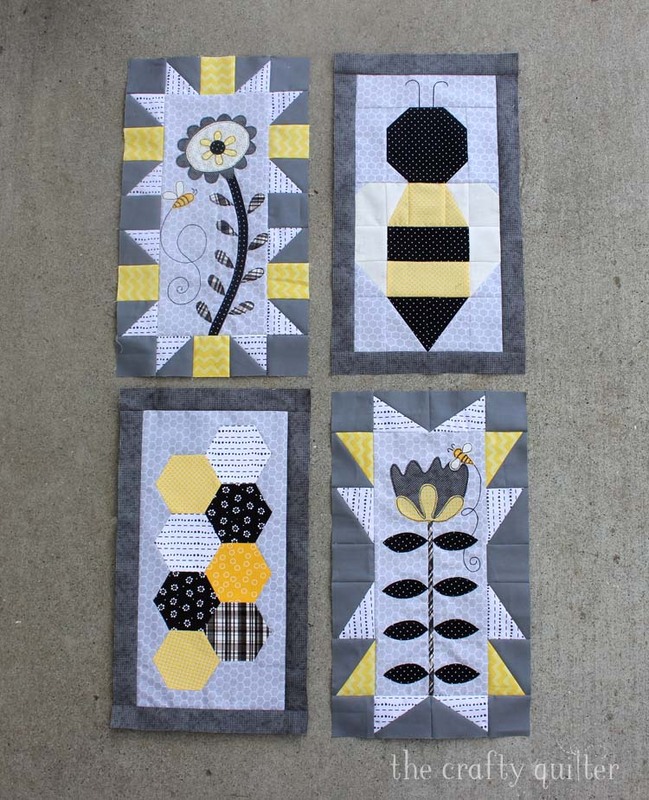 Today I’m sharing the fourth block of Jacquelynne Steves’ Save the Bees BOM. 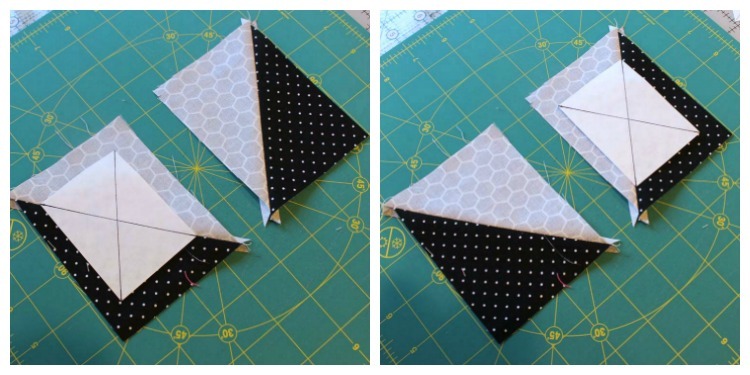 This adorable block is as cute as can BEE and a great way to practice half-rectangle triangles. Make sure to keep reading to the end of this blog post because there is another great giveaway this month! Update: This giveaway is now closed. If you’re participating in this block of the month, you’ll be making three different sets of half-rectangle triangle units. Jacquelynne has included a great video on how to make these units. I found that by drawing two diagonal lines on each trimming template (freezer paper), I could use it for both sides (mirror image of each other) of the half-rectangle unit (instead of needing two different templates). This will make sense when you’re making them, I promise! Make sure to cut 1/4″ beyond each edge of the freezer paper template. This will give you a perfectly sized unit. 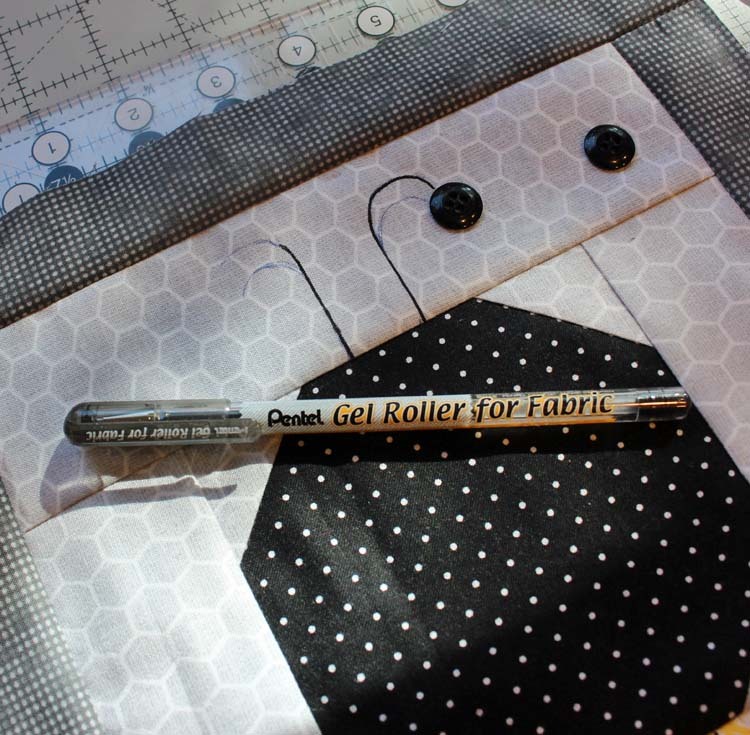 For the antennae, I used the Pentel Gel Roller for Fabric as I have in the other blocks. It’s so much faster than hand embroidery. Because it’s permanent, I like to draw my lines with a FriXion pen first. That way, I can erase any mistakes with an iron before committing to it. In the photo below you can see another curve that I drew with the FriXion pen which has since disappeared after ironing. The buttons will get sewn on after the quilting is finished. Now that all four blocks are made, it’s fun to see them together. I think this is going to be a bee-utiful quilt! This month’s giveaway is sponsored by Olfa. One lucky winner from each participating blog will receive a prize package of Olfa products. I use Olfa products every time I sew and I love their quality and consistency. For my blog, all you have to do to enter the giveaway is leave a comment by Sunday, November 11, 11:59 pm PST, on THIS blog post (not from my home page) telling me if you have taken an online crafting class. Did you like it? Do you prefer online or in person? I like having both as an option. I like the flexibility of an online class, but I need the accountability of in-person classes. I have taken many classes through Craftsy and I highly recommend them. They are really well done and you can watch them over and over again. I can also give you a list of other resources for online craft classes if you’re interested; just let me know. To leave a comment, make sure to scroll down to the bottom of this blog post, and look for the rectangle that says “Enter your comment here”. On November 12, I’ll randomly pick one winner! To enter, leave a comment telling me if you have taken an online crafting class. Wi love the nine classes and have been doing them for years. never taken an online class, but I’ve watched lots of tutorials. I’ve enjoyed a few YouTube videos and also Craftsy. A few quilt shops have tutorials too. I have signed up for some Craftsy classes, but have yet to take one. I love how this quilt turned out and seeing how everyone else has come out. I have taken both in person and online classes. I like the in person ones because someone is watching you and can catch you before you make some mistakes, but with the online ones, you can go back and review. This was my first on line quilting class, and loved seeing everyone’s fabrics! I haven’t taken any online classes but am open to them when I need to take one. I have taken classes both ways. I do like going in person thought. Gets me out of the house and do hands on. 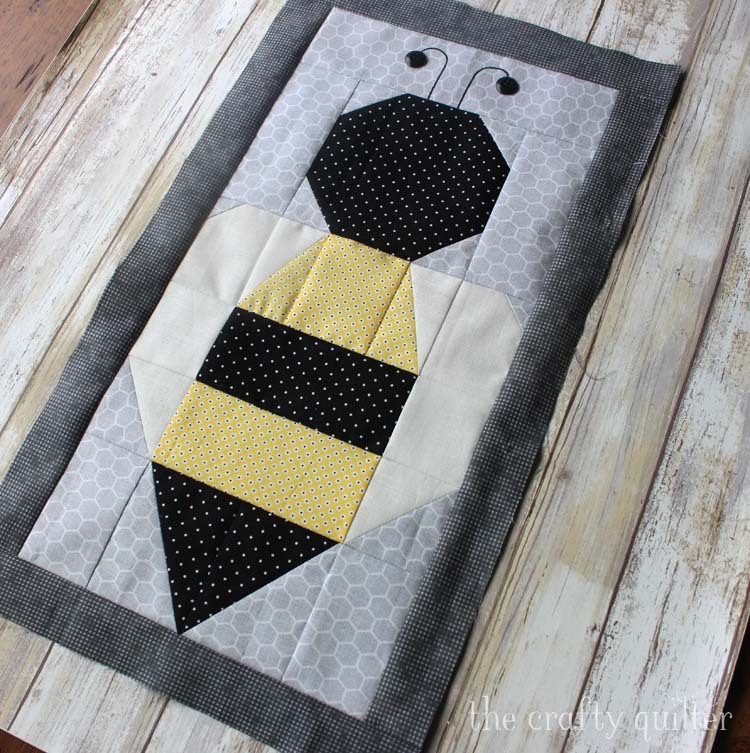 Pingback: Free Bee Quilt Pattern- Save the Bees FREE Block of the Month! I have done an on line crafting class. I really do like to do it in person. I have never taken an online class= sound is out on my laptop so until I get a new one it is hard to do! I hve watched some tutorials on my phone but I’d rather have a larger screen for a class. I have learned a lot/gotten a lot of ideas from blogs. I have taken some crafty classes, and enjoyed them. Never took an “in person” class. I have taken Craftsy classes, and enjoyed them very much! I do like hands on classes for more involved techniques – sometimes you just need to ask questions in person! Although I have taken several online classes (mostly via Craftsy like you), I feel I learn more in face to face environments not only from the teacher, but from interactions with fellow students as well. I;ve taken many online classes, mostly from Craftsy. I like the flexibility of watching when I want to and being able to watch it again. I have taken classes on Craftsy and am currently doing many classes on Creative Bug. I prefer in person, but that is expensive, so I only do one every few years. I have never taken an on line class. I have not taken an online class but do watch videos to learn new techniques. I have taken an online class. I like it because you can stop and rewind over and over again. But, sometimes I just need a real person to tell me what the heck I’m doing wrong and how to fix it!!! I have never taken an online class. I want to take a learn to quilt or sewing class. Thank you for this giveaway. I have signed up for a class but have not yet been able to complete. 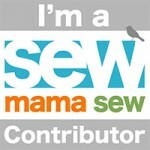 I’m looking forward to learning how to quilt on my sewing machine! Haven’t taken an online crafting class yet. Even though I know many who have taken online classes and seem to like them, I’m not sure an online class would work well for me. Yes a craftsy class on embroidery and several years on I still refer back to it if I need a stitch reminder! I haven’t taken many classes online. The couple I’ve taken were through Sulky and I did enjoy them. However, I prefer taking classes through my guild. It’s fun to sew with friends! Thanks for the tip. I’ve never taken a online class. I took a Craftsy course for an overnight bag and it was really helpful to be able to look at a lesson numerous times. with three littles at home it is not the right time for me to take online classes. I’m thankful for the time I have to work on projects though. Adorable bee blocks ! I have not taken an online class as of yet, but fully intend to! I have been diligently working on old ufo’s and once caught up, will be perusing some online class listings for something new to learn/be inspired by!! I definitely use online tutorials, all the time. I have taken one online class and enjoyed it. Thanks for sharing your blocks. I very seldom get to take a class locally (I am the teacher at my local Guild) but do occasionally do a Craftsy class. I find my best learning tool is taking part in blog hops or mysteries since there are deadlines and it encourages me to challenge myself doing “new to me” methods or skills. Then I take those new skills, design a block or quilt and teach it to my students if they are interested. I love both kinds of classes. Learning something new is always exciting to me, regardless of the format. I have several online classes. I like them because they don’t end. I can refer back to them as often and whenever I want. I do love going to a shop and having a class. Love the personal contact and interaction with like minded sewers. It is great to have options!! Have taken several Craftsy online classes. They’ve been very helpful. I haven’t taken an online class although I’ve followed several internet tutorials. I have never tak3n an online class. I do love your color choices. I have taken an online class and prefer in person classes. I like the ability of the online class to look at it often but haven’t done that. I think in person classes allow me to ask questions which is more helpful. I’ve taken a few classes online. I prefer in-person classes, but it’s hard when you work full time. I also love quilt blog tutorials! They’re very helpful in learning new techniques and they’re a great fit for my schedule. Yes, I’ve taken online classes, but still like the in-person classes better – with a great teacher. I get too distracted when working on my own, but a good teacher can keep everyone focused and will help with individual problems to keep you on track. I find you always learn more tips and tricks in person too – plus you make new friends. Love your colour scheme. Very effective. I have taken 1 online class, the subject interested me, but it was too easy to not make time for the lessons during the time they were posted so I’m left with the reference book and the realization that I’d do better to take in person classes going forward. I’ve never done an online course but I have found the odd YouTube video that has proven helpful. 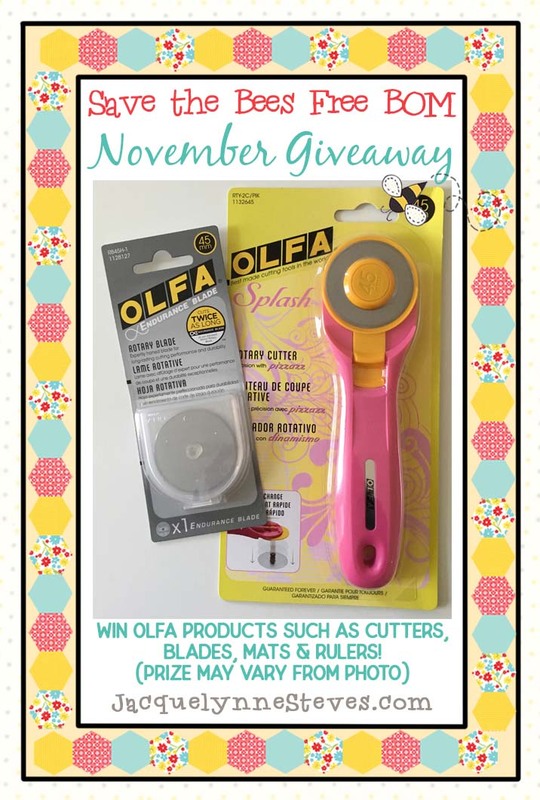 And I love Olfa products so I’m excited about your giveaway. Cute bee blocks! No online classes yet, but the Craftsy classes seem a very good deal. Occasionally I take a class in a shop or organised by my quilt club. Thanks for the chance to enter your giveaway. I have taken several on line quilting and sewing classes. I have never taken an online class. I’ve often thought about it but have just not taken the plunge! 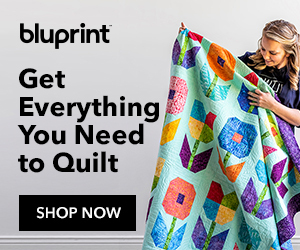 I love taking online quilting and sewing classes through Bluprint (Craftsy). If I miss something, I just backup and the instructor repeats. Easy peasy. I had a free class from Craftsy once….and I chose a bread-making class! One day I’ll take a quilting class. I have not taken an online class, due to the fact that I have very limited bandwidth for my computers. This is a trade off, of living in the country!! I have taken several online classes. Really enjoy the fact I can go back and watch again or pause while watching! I have not taken any online classes yet, but I hope to in the future. These blocks are too precious! Just bee-utiful! I’ve taken a couple of online classes. Have to watch my pennies, though! I have taken several classes in Craftsy and I’m very happy with tha classes and the results . Great idea ! I have taken an online class and love the flexibility and being able to return to it later for a refresher. However, I have trouble finding the time and space to listen. Going to a group class is definitely better for sharing ideas, discussing something not quite understood or asking questions, and the social aspect. I have done a few Craftsy classes. I have taken a couple of classes through Craftsy and also taken a couple in person. I like being able to go through a project at my own pace and come back to it when I get the chance. The fun thing about an in person class is spending time with others. I like both ways. I love your quilt blocks! I have several Craftsy classes that I am signed up for. One of them I have watched all the way through and others I have only partially watched. I do enjoy taking classes online as I can do them when I am ready to and not have to pack up supplies to go somewhere. When I get caught up on my quilting projects I currently have I intend to really sit down and atch more of the Craftsy classes that I have. that is supposed to be watch not atch. I have not taken an online class, but do take quilting classes at my local technical college. I’m like you — I like both. I have taken a surging class online and a quilting with rulers class. But, I do enjoy classes in person as I get to meet new people and learn new things from a group that I may not have learned from an online class. I have not taken an online craft class but sounds like it would be fun to try. I have not taken a class on line but have watched many tutorials on line which I have enjoyed. Most of my quilting lessons when I began quilting was by person and I enjoyed that also. Love to quilt!! I have taken several Craftsy classes. I usually buy them when they are on sale. I have watched some of them two or three times! I learn something new every time I rewatch a video. Craftsy classes are great! 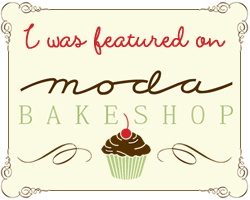 I have taken many online (Craftsy) classes, and many in-person classes over the years. Both have their advantages, but considering my age and restricted traveling abilities, I now prefer the online classes. I especially like the ability to go back to them over again as needed. Hello Julie, I have taken one of the free classes offered on Craftsy and learned some great techniques. I have not taken a class in person, but I think that would be a blast! The internet is my main learning tool with quilting, hand embroidery and creating wreaths. Watching videos and reading posts with tutorials are great in the part they can be rewatched/reread until I know what I am doing. With my memory problems, I do not know if an in person class would work for me aside from having fun while it was going on. Thank you for sharing and have a great day! Julie, your fabric choices are perfect for this project! It is looking so cute! I have not taken a crafting lesson online. I think they are a good deal, just haven’t done so yet! I have not taken an online crafting class. I have not taken either an online class or in person class (except for Home economics class in school!) i bet its fun to get together with everyone though! 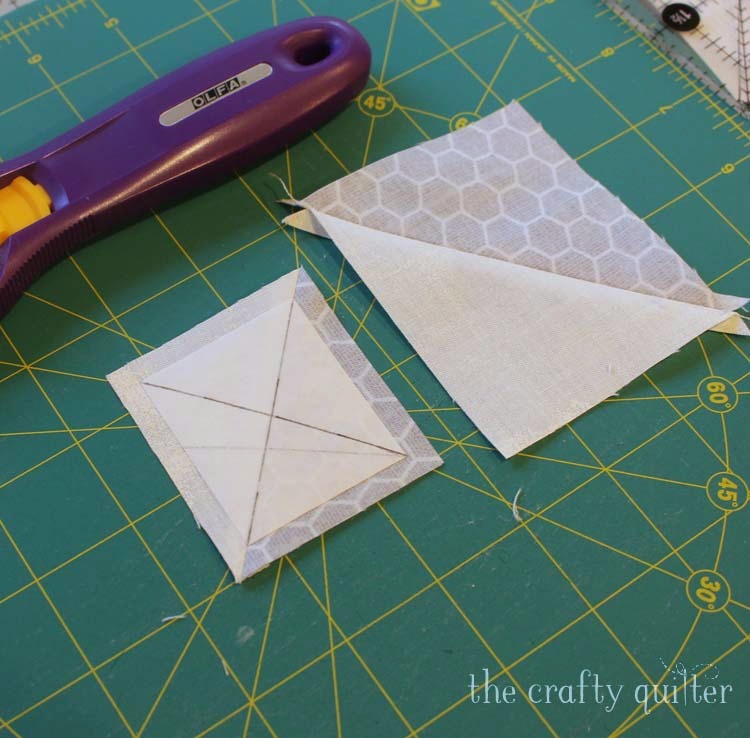 I took an online class from Craftsy to learn how to do free motion quilting. It was fun and I refer to it often. Taking an online class is not something I have done yet, but would be very interested in doing so and would love more information and links of some of your favorites. Thank you for sparking my interest! Hi Julie! I have taken several classes online – on Craftsy and AQS, and a few others!! I appreciate online courses because one may usually save the information on the computer or return to the class whenever one feels the need. When Craftsy has a sale, it’s hard not to scroll through them all. But I still prefer in-person classes, especially when the class isn’t too large. Both types have advantages and disadvantages. I’ve taken many painting classes from Craftsy. I never have taken an online class though rely heavily on tutorials for inspiration and techniques. I’ve taken some online classes through Craftsy and iquilt. All are excellent. Many I have watched more than once. Yes I have taken onine classes, but like you I like the options of both. But online is just so convenient! i have taken on-line classes. 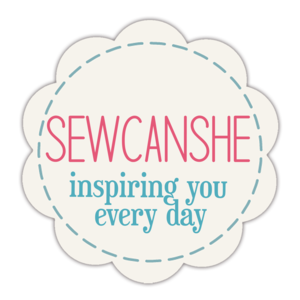 i love the craftsy classes and always watch a few classes when they have the free weekends. i enjoy watching different quilt as you go classes and have implemented a lot of what i’ve learned in my quilting. i’ve watched other quilting classes on craftsy but tend to focus on quilt as you go. I haven’t taken any online classes although I have watched several YouTube programs. I like the idea of being able to watch the class over and over. Thanks for the opportunity to win. Love your Save the Bees blocks. No, I have never taken an online class. I like the trial and error method of learning new things. Thanks! I have not taken any on line classes but I have watched YouTube for “how to” quilting tips and directions. My BFF purchases classes on Crafts and she loves them. I plan to purchase courses from them to learn better technique with my free motion quilting. No I am fairly new at quilting , but Yes if you consider “Moda BlockHeads 2”. I really am enjoying this quilt along. Well I am not sure exactly how to answer the question. I did order a CD from “Pat Sloan” on learning how to quilt. It gave me a beginning idea, but I also signed up to take a local quilting group class from a fabric shop close to home. I am so thankful that I did. The ladies were the Best teachers and so very kind. I will always remember them fondly. I absolutely love your fabric and color choices – beautiful. Thank you for sharing. I have never taken an online class yet. I am planning to do so during the Christmas holidays though. I haven’t taken an online class, I have been fortunate to have a Quilt shop very close by where I can take classes. I would like to try an online class sometime. Wonderful bee block. I love online classes. Easy to take at my leisure. I haven’t taken an online class, though I enjoy watching Nancy Zieman videos. I have taken quilting classes at our church. Personally I like having a real live person to go to with questions. I’ve never taken an online class, my guild offers monthly classes based on who our speaker is. I enjoyed the few online classes I’ve taken. Have taken in person classes, and followed tutorials on line, but never registered or paid for an actual online class. I have purchased several Craftsy classes, but have only watched one of them start to finish. I just subscribed to Bluprint and have watched parts of a few classes. Must make myself watch them to get my money’s worth. I’ve taken many in person classes and find the usefulness greatly depends on the quality of the teacher. Your bee block is very cute. I have to find one of those gel pens. Great choice of fabrics and I like the antenna. Yes I have take online courses and like them but sometimes forget to complete them. 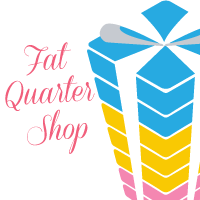 I have taken both online and quilt shop classes, and classes on Craftsy. I love online classes that you have lifetime access to. I have taken some from Craftsy and some from iquilt and I’m so glad I did. I have access to instructors I would never be able to travel to see too. I have never taken a class on line. Iseem to need to see in person how to do things. Even then I sometimes need help. I have taken many Craftsy classes. The first was a beginning to quilt class and I have followed that up with classes on paper piecing, machine quilting,and applique. I love the convenience of online classes but nothing beats a good in person class. I haven’t taken an online class. Being able to take it at home would be nice. Yes, I have taken online crafting classes. I took one class and I loved it! You can go at your own pace and re review spots you need to! I have purchased a few Craftsy classes, but haven’t taken the time to view them yet! Aaack! I do like the idea of watching a video and being able to rewind to watch a technique again if needed. I have done both in person and on line. Both have pluses. I have watched the free Craftsy classes, and found them informative and motivating, but I have not worked along on one. Maybe one day I will be able to buy a class and actually work together on a project. I prefer in person classes, but this isn’t always possible. so, yes, I have taken on-line classes . They are good as well, but I do like the friendships that can be developed in person better. Thanks!! I have taken one craftsy quilting class and I really enjoyed it. I have not taken an in person class but that is on my to do list! Never raken an online class, but I bought one and have not srarted it. I love in prtson classes, always something to learn, and sharing with classmates, and of course meeting some great guilters. I haven’t taken an online class, but will probably try it sometime. I have enjoyed the classes I’ve taken in person. I have not taken an online class yet and will probably treat myself to one during the holidays. Thanks for your posts. Like your creativity. I have taken several classes on Craftsy eg Lazy Girl Designs making zippered small pouches, bags. Do better when I can follow a video. I have taken some crafts classes and enjoy them. I especially like that you can review it at any time! I have taken on-line quilting classes before and the tips I have received have helped me to no end. I have not taken a class online. But I do like to watch the videos that show how to do things. Even if I have to watch them several times!! I have taken online classes through Craftsy & Lori Holt. They are great but I get what you’re saying about in person accountability, & also instant help with problems/advice. I have taken a couple online classes thru Craftsy. I have taken many in person workshops. I think my favorite is watching tutorials and YouTube videos. I have taken a few on-line. Not my favorite but it does help to reply. In-place is easier to ask questions. 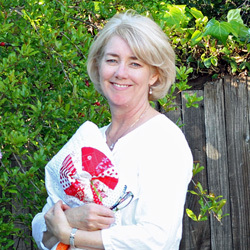 HI, yes I have taken several online classes with Craftsy and American Quilters Society. I also subscribe to Blueprint now. Thank you fro the give away, love the Olfa endurance blades. I like tutorials so must try an on-line class. I’ve taken a lot of online classes and I prefer them to in-person classes for the most part. In-person classes always seem to make you start a project that you might not want to finish. With online classes you can just watch and learn. I have not taken any online classes. In fact, I haven’t taken very many in-person classes, either! I prefer to learn in person or just figure it out myself. Thanks for a chance to win some pretty goodies! I have watched several tutorials on quilting questions or help in several situations. I find online classes are much easier to enjoy then having to travel for 50 miles or more for classes at the LQS. I haven’t taken any online classes. Guess I’ve never really thought about doing that yet. I have never taken an online quilting class. I have taken in person classes. I have paid for several online classes but not completed them. I prefer “live” classes . I have taken online classes through Craftsy & really enjoyed learning a new technique & the support of the instructors. But I prefer in person classes, I really enjoy sewing with other quilters. The energy is really special! I have not taken an online quilting class yet. Have thought about it. I have never taken an online class but I think I might like to one day! I have taken a few classes online from Craftsy. I live in a rural area, & don’t have good internet service, so I prefer a face-to-face class. I love the Craftsy classes and have taken several of them. I have never taken an online quilting class, but whenever I have a question about quilting I search the internet for an answer. I have taken several Craftsy classes and love them. Love the online format so that I can take them as my time permits; I’m still working so sometimes time is limited. 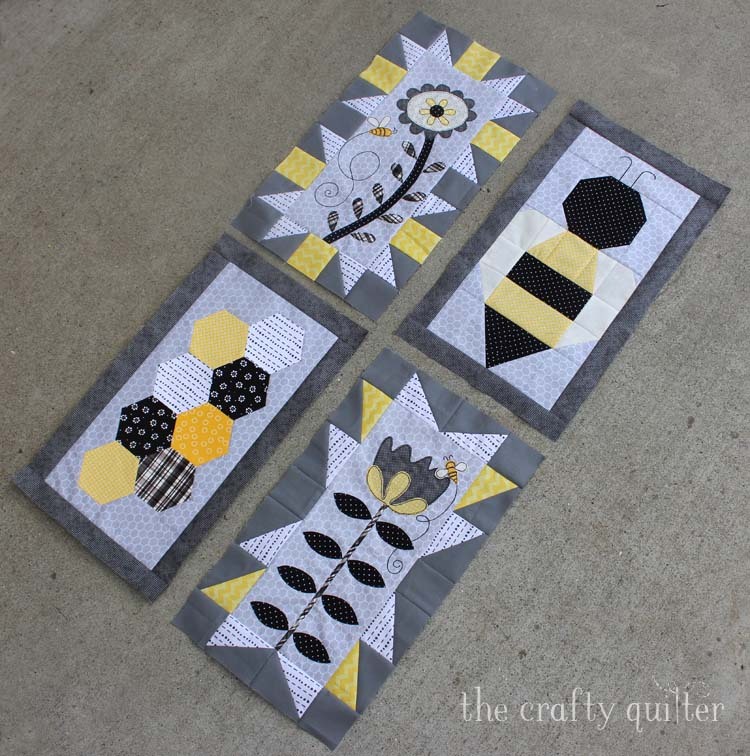 Love your BEE quilt blocks and your colorway. I have taken online classes and loved them! Hi, I have taken many online classes and love learning that way. I have taken several Craftsy classes. My favorite was the 2012 block of the month with Amy Gibson. I like both type of classes. On line makes it easier as I can go back and replay it, so it can get through my thick skull! I have not yet taken an on-line class, but have subscribed to Craftsy and plan to do so this winter. I have never taken an online crafting class, but I have watched several online tutorials. “Saving the Bees” is my first online class! Yes, I have taken an online quilting class. I haven’t taken a online class. I have never taken any classes. I have done a few online classes — nice for a tricky block or technique so you ca watch it again if you need to. That is the cutest thing ever! I have taken some Craftsy classes. I have taken craftsy classes. I love that the class is always available whenever I need it. I have done a few Craftsy classes. I think there are benefits to both online & in person classes. But, I think I prefer online classes. I can do them in my own time, & I can go back to re-watch things as well. I have never taken an on line class for crafting before! I have taken some online classes and I really enjoyed them. Have not taken any online classes yet. Yes, I have taken several online quilt classes as well as in-person ones. I love both types because either way I’m learning new techniques from fabulous teachers! I have done many Craftsy classes. Love them as I can take my time. I have taken several Craftsy classes and like them because I can go back to them whenever I want. Live classes are great too because there’s help right there if I need it and I enjoy making new quilting-obsessed friends. I love Craftsy classes and have quite a few of them. Yes! I have taken lots classes on Craftsy. I currently subscribe to Blueprint. In my opinion these are the best classes on the internet. I have never taken an online class but I love your tutorials! They’re my favorite way to try new techniques. I’ve taken both types of classes and like both. The on-line class allows you to move at your own pace and replay instructions if needed. In an in person class you are surrounded by other students who share their expertise and ideas. I’ve never taken an online course but I have the craftsy app and look forward to trying something soon. 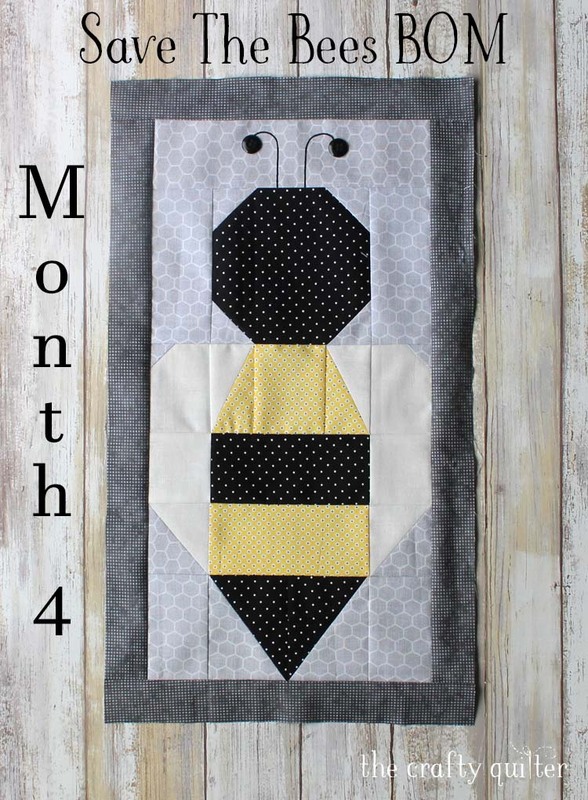 Love the bee block of month. good fabric. I have taken several online classes including a few from Craftsy. I have been happy to have the expertise of the teachers I might not be able to see in person, but find I am better at finishing a class I take in person. I have never taken a class in person, so I can’t compare, but I really like the Craftsy classes I have taken because I can go back and watch the parts I’m having trouble with again and again, or just refresh my memory about something especially clever. My Grandmother made me a Sun Bonnet Sue Quilt, and she and I then made quilts for each of her eight grandchildren. We finished them all except for one that needed to be quilted before she passed away. I have never taken online classes. Never have I been brave enough to try them. No, I have not. But would love to! I have taken online classes and in person classes. The both have there pro and cons. I like in person because you can touch the pieces and see how they put item together. But also some time class goes to slow. Online you can rewind the class as many times as you want but some time you can not see the construction part real good. I have not taken on line classes for crafting, I enjoy the camaraderie of people and sharing projects and ideas along the way. I have never taken an online class. No, I have not taken an online instruction class. I have though, watched many of YouTube instructional videos but I don’t think that is considered a class. I love the color choices for your blocks. I take online courses all of the time. I love bluprint (formerly Craftsy). The instructors are the best and the classes are very professional. Bluprint courses are equal to any class/workshop that I have gone to in person. Big bang for the buck and you can return to them at anytime. I do not care for Creative Bug classes, but gave them a try. What an imaginative and cute quilt! I have to make this! I haven’t taken an online coarse but I have watched several instructional videos. I love your color choices! I have never taken an online quilting class or one in person. Now that I am retired and have more time, I might. I have never taken an online course. After reading these comments I think I should give one a try! The choice of the grey fabric base is sew cute – Grey like greens and browns goes with almost every color. You quilt is going to be spectacular. I have learned so many things on line. Craftsy and YouTube are such great resources. You can lean anything you want. I have never taken an on-line class, but I think I would prefer the in-person classes. I like to be able to ask questions if necessary. It also helps me to see what other people are doing in the class. I’ve done a couple of Craftsy classes. It was nice being able to go back and see things I wanted to double check on. I have never had the luxury of taking an on line class due to my busy work schedule and home life. Having said that, I am a member of a local “Block of the Month Club” and learn new techniques each session. I would rather take classes in person. I took one on line class and was not a fan. I’ve done several Craftsy classes. I’ve enjoyed them and love that I can go back to check something anytime. I have taken online classes on Craftsy and signed up for some I haven’t watch yet. I like the videos since you can watch them as often as needed Like your blocks. Thanks for the chance at the giveaway. Love the farmhouse feel of your blocks. Looking forward to seeing the finish. As for the question about classes I prefer to stay at home in my jammies with the option to pause. I have never taken an online class. I’ve done classes in person and ones like this where you follow along. An online class sounds like it would be fun. I’ve been taking Craftsy classes since they’ve been offering online classes years ago. Just love the fact that all that information is at my fingertips whenever I need it again. Wonderful way to learn new skills. I have taken several Craftsy classes and really love them! I like to crochet but have to find You Tube videos for left-handers to understand the stitch! Same with embroidery! I love watching Jenny Doan videos!! I have taken a few classes from Craftsy and really enjoyed them. Yes, I have taken craftsy (online) courses. I like the start and stop option of viewing videos. But I also like written “backup” which is sometimes lacking. Both in person and online courses have pros and cons. PS love love your blocks with the greys! I have taken Craftsy classes and enjoy them very much. I have not taken any classes online. There are several I have been tempted to try, but so far haven’t done so. i have taken several on line classes and have learned a lot. one of the best things about them is the ability to start and stop when you want to. I have taken several online classes so far. I’ve only taken one online class through Craftsy. I really enjoyed it. I liked being able to work on the class whenever I wanted to (or had time to) and being able to back up and replay certain parts was very helpful. I haven’t taken any classes in person, so I can’t say which I prefer. BTW… Love your colors on your Save the Bees blocks. Wow! I have taken several classes from Craftsy, Mostly quilting and finishing quilts. I have several that I have purchased and am now a signed up for the year. I love Craftsy, I have learned so much and continue to learn more all the time. Thank you Julie for a chance at the giveaway. I love your blocks Julie… great tip to make the X on the freezer paper! I haven’t taken any online classes… but I love to take classes in real life and connect with my local quilting community. I, too, love the Craftsy classes and recently signed up for one to teach me how to measure and quilt border designs! I’m ready for the Christmas sewing to be done so I can concentrate on the new class. I also signed up for a local guild workshop in January with David Taylor, the master of applique picture quilts! Both are very exciting to me. The best thing about Craftsy is that I can go back and watch them slowly, step by step to be sure I have the process correct. The best thing about the in person workshops is the one-on-one teaching moments you get from the pros. I have taken many online classes through different sources. Craftsy is my hands down favorite. I have taken several online classes on Craftsy. I love them because you can go at your own pace and watch the video as many times as it take to understand the process or directions. I’ve never taken an online class, think I might have to consider it for the future.